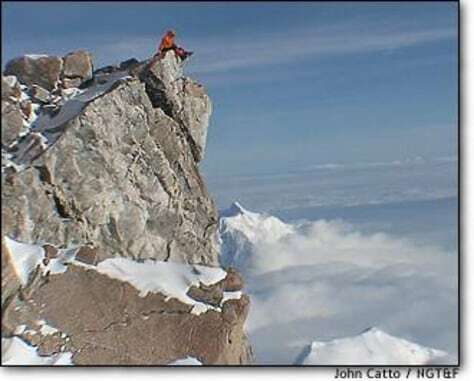 National Geographic Ultimate Explorer correspondent Michael Davie pauses to savor the view from atop Alaska's Mt. McKinley, also known as Denali. Despite McKinley's serene appearance, it is one of the coldest and most dangerous mountains in the world.